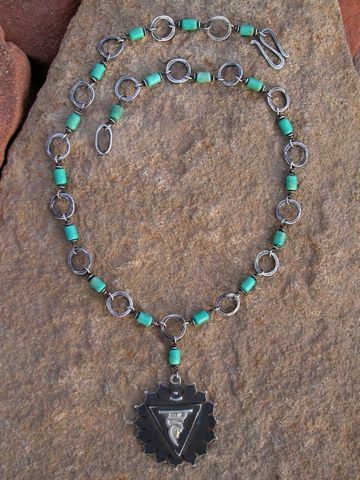 Turquoise - a stone associated with the gods and goddesses in cultures such as Ancient Egypt, China, and the Americas. Was a powerful talisman and healer important to the medicine man or woman. Detoxifies the system of pollutants and relieves migraines, sore throats, arthritis, bone disorders, lung and chest infections, asthma and other allergies. Will also attract prosperity and success.